Dear reader, it is Saturday. And you know what that means? Yes, it’s the day when some random League One side costs you your five-fold and £2,529. But hey, we don’t care about that up here in Premier League land. Shall we see if there’s any funny football news to talk about? Oh, go on then. 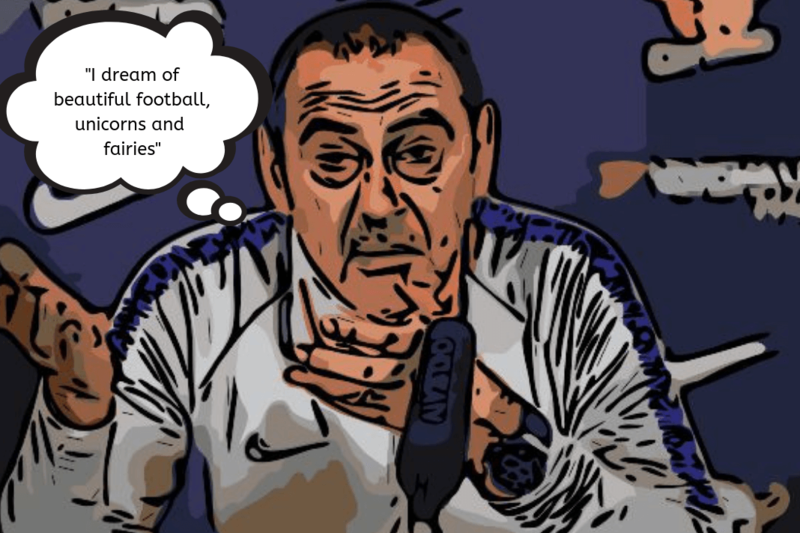 Maurizio Sarri has said he is ‘a dreamer’ and that he won’t change his tactical beliefs no matter how much threat his Chelsea job comes under this season. You see, Sarri believes in beautiful football, fairies and unicorns and so do I. You stick to your guns Maurizio and who knows, you might get that tune out of Jorginho once again. After all, Peppy G has stuck to his principles after a tough first season in Blighty and look at what he has achieved. Sarri can do the same, especially if he can continue to buy his former Napoli players like the aforementioned Jorginho and Gonzalo Higuain. Sod it, why not get Chelsea to change their colours to light blue and have a tifo of Maradona at Stamford Bridge too? That should do it. Man City ‘must improve’ if they are to catch Liverpool, says Pep. Well, yes. Losing to Newcastle does suggest some improvement is required. City didn’t add to their already bloated with talent first team squad in January so the Catalan is going to have to find a way to get his team back on track without using his chequebook. There’s a novel idea. Talking of chequebooks, Mauricio Pochettino is once again ‘disappointed’ that Daniel Levy still cannot locate his. Spurs have seen two transfer windows pass them by now with no incoming first-team players. In fact, they have only signed one in the last three, Lucas Moura. 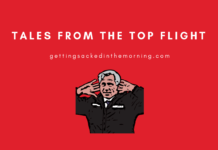 The Poch says Spurs ‘are not equipped’ to win the title but that’s OK. After all, you don’t want those egos getting out of hand, do you, Mauricio? Things are so threadbare at Tottenham that Pochettino has even welcomed Vincent Janssen back into the fold. Liverpool’s Joe Gomez is unlikely to be returning any time soon, Jurgen Klopp informed the world yesterday. Klopp was quizzed on his right-back decisions, what with loaning Nathaniel Clyne out to Bournemouth, but he was more keen to talk about another right-back; Man City’s Kyle Walker. Walker had Tweeted something mocking Liverpool for dropping points against Leicester City during the week and King Kloppo was not amused. Walker later deleted the tweet, which is always an admission of screwing something up, but that wasn’t enough for Klopp. You get the feeling the England international might have just given Liverpool something to focus on in their title hunt. With Jose Mourinho long gone, Manchester United’s Anthony Martial was only too happy to put pen to paper on a new five-year deal. Ole Gunnar Solskjaer was all smiles, as always, when asked about the attacker’s new contract. Solskjaer has challenged Martial to follow in the footsteps of Cristiano Ronaldo. We hope he meant the on-field Ronaldo, so helping United win a title before legging it to Real Madrid and giving La Liga the very best years of his life. Previous articleFantasy Football Shambles: What will Dave predict in GW25? Next articleTransfer Deadline Day: Quieter than the Emirates?